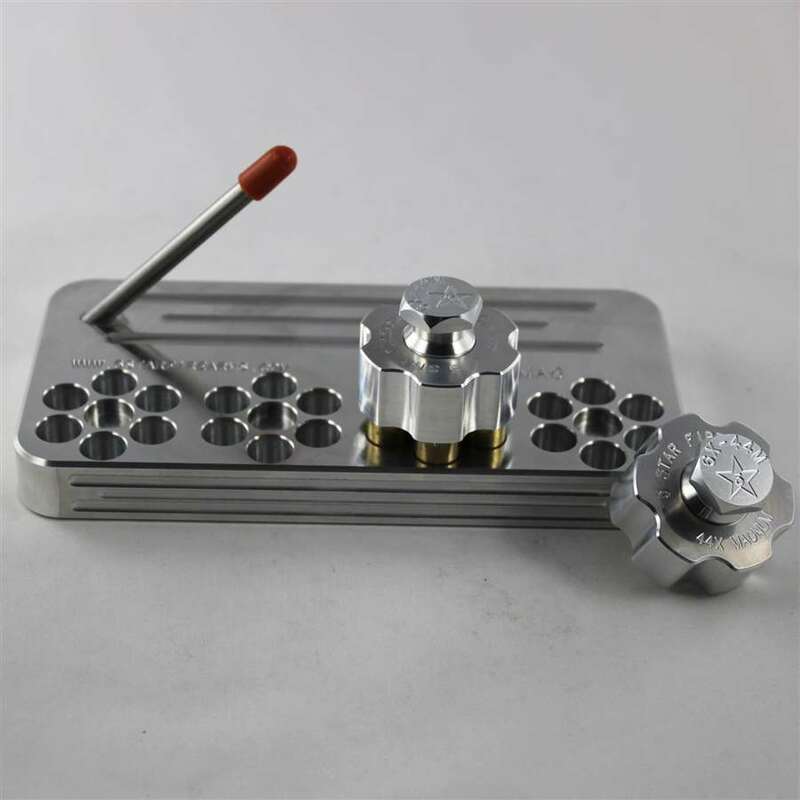 Looking for a way to reload faster at the range and keep your firearm off of the bench? We have a brand new solution! Each Range Stand is machined from a piece of 7 inch by 3.5 inch aircraft aluminum that is 3/4 inch thick. Each block features 4 spots of 6 rounds each giving you 24 shots before having to reload. The firearm stand is a 1/4" diameter stainless steel rod pressed in a the optimal angle to hold your firearm.